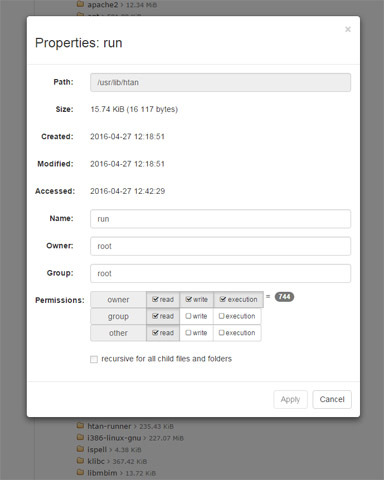 This package implements a Web based control panel for small Debian and Ubuntu servers. It connects to a remote server via ssh to retrieve information and perform the necessary actions. Prize: One big elePHPant Plush Mascott Most hosting companies provide plans that let developers controls several aspects of configuration of a server via a Web browser by accessing a control panel installed in the server machine to be configured. This package provides a more advanced solution in pure PHP that allows you to manage several aspects of configuration of hosting servers remotely. 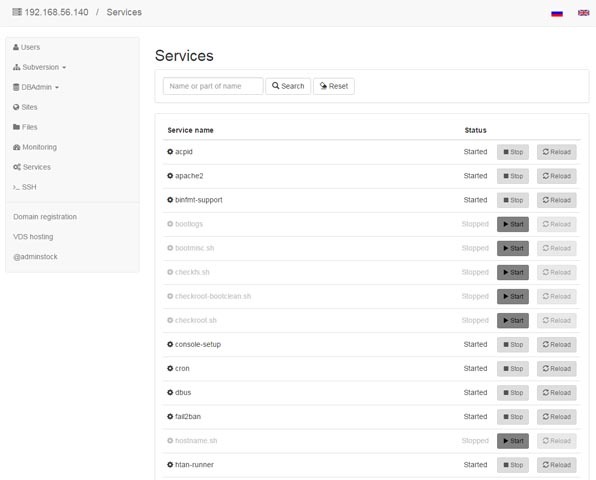 It uses ssh to communicate with the remote server that you want to manage and lets you perform several useful aspects like: managing user accounts, starting and stopping local servers and or services, configuring Web servers, managing files and directories, as well monitoring the server machine user resources. This control panel for small Debian and Ubuntu servers. The interaction with a server is performed via SSH. The panel has a modular structure. One can easily create new modules or enhance existing ones. User Management: * viewing, creating, editing and deleting users. Sites Management: * supports Nginx, Nginx + Apache; * list of sites; * config files editor; * enabling and disabling sites; * creating a configuration-based templates; * deleting sites. 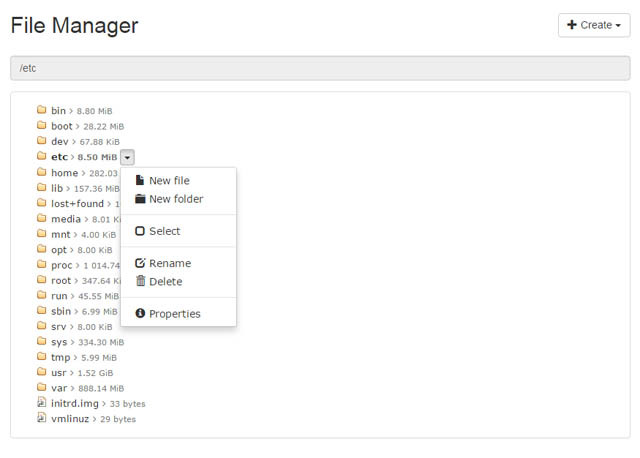 File Management: * list of files and folders; * creation of new folders and text files; * viewing and editing files; * moving, copying and deleting files and folders; * permissions management. Subversion Management: * users and groups; * repositories. 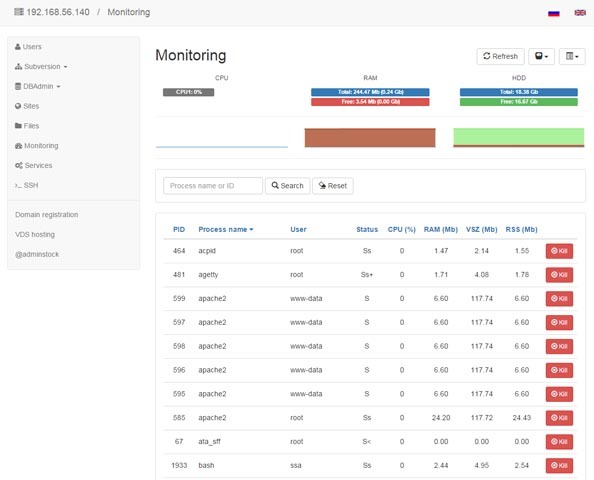 Server Monitoring: * list of processes; * CPU, RAM and HDD usage. SSH client: unilateral execution of commands. SmallServerAdmin is licensed under the Apache License Version 2.0. See also README files for individual modules. The panel can be located on any server. To manually install and configure the server, use the following instructions below. All commands to the server are performed through sudo. On the server, you must install and configure sudo. The interaction with the server will be carried out via SSH. Usually on a server must already be installed OpenSSH package, but if it is not, you need to install OpenSSH. To obtain information about the system used sysstat, which is also necessary to install. The best practice is to create a single user on whose behalf will be server management. If the connection via SSH is limited to narrow the list of users, add the created user in the list of allowed. This is the minimum configuration that must be done. If you have connection problems, try restarting the server. General (default) panel settings contained in the ssh.config.php file. The parameters are stored in the global variable $config as an associative array. In addition, each server can have its own settings, which are located in the /servers folder. The panel has a modular design. Each module has its own set of parameters. For details see the README file of a specific module. To operate the panel, you must configure the SSH connection settings. 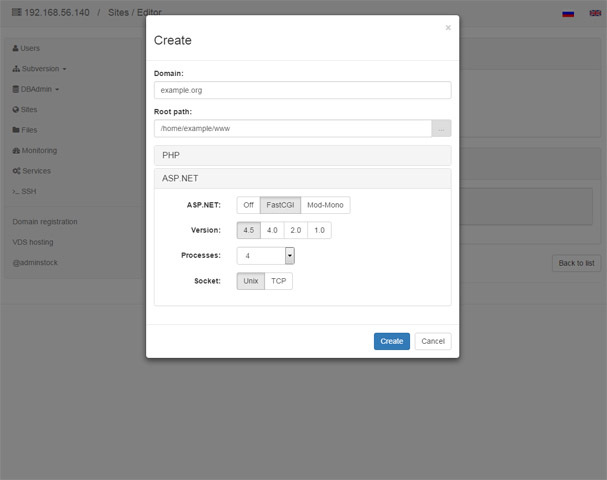 By first opening the panel in a browser, you will be redirected to the servers management page where you can add and configure a new server. If it does not, open or create the /servers/default.php file and specify the connection settings to the server. If the connection settings are incorrect, the panel can not connect to the server. All commands are executed via sudo. If the value ssh_required_password is TRUE, for each command will use the user password (ssh_password). If you are the only one user on the server, you can disable the password. For this set the FALSE to the ssh_required_password. In the parameter modules you can specify a list of required modules, separated by commas. These modules will be displayed in the menu in this order. The absence of modules in the list does not restrict access to them. Modules in the menu will be displayed in the order in which they are specified in the list. In the file ssa.config.php specified the default list of modules that will be used for all servers, who have not their own list of modules. Some modules have widgets that can be displayed on the main page. Widget settings are located in the root element - widgets, the child elements that contain settings for specific module: $config['widgets']['moduleName']. Each widget must contain the required parameter Enabled, which indicates the need to display the widget panel on the main page. In the optional parameter Format, you can specify a custom format to display widget on the page. In addition, the widget may comprise any other individual parameters. For more information, see the README file of a specific module. .version Data The current version number SSA. It is used to check for updates. api.php Class The main class API. He is responsible for forwarding requests to modules and processing of the results. compilerconfig.json Conf. Build rules SCSS files for Visual Studio 2015.
config.php Conf. 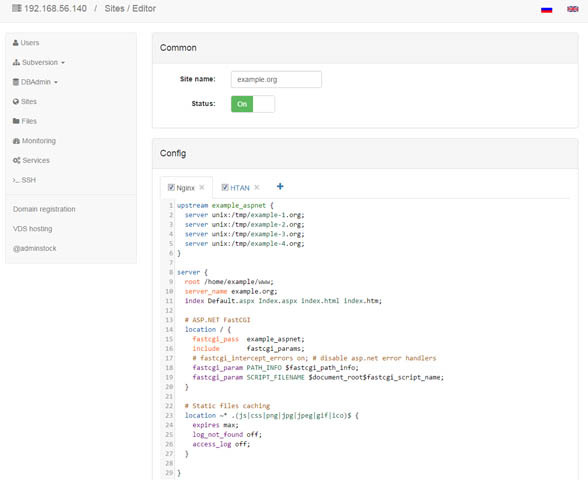 WebForms.PHP config file. 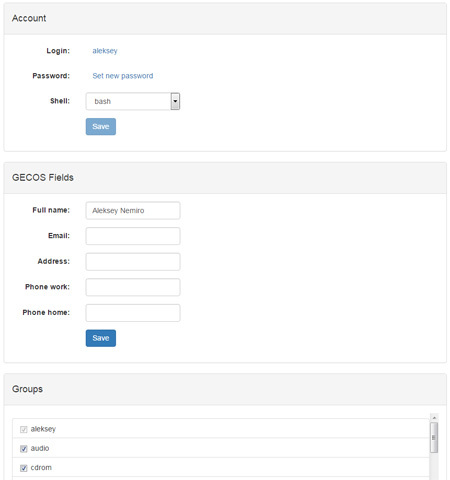 global.php Class The main control file of the WebForms.PHP application. index.html.php Class View of the main page.